Evolving from metal coins, bills of exchange, and paper money these days money is mostly in the form of digits, bits and bytes and expressed as numbers in computers. With these new developments in money and payment processing, “paying with plastic” like credit or debit cards has brought a digital revolution in buying and borrowing all over the world and has become more conventional and considered as latest form of money. 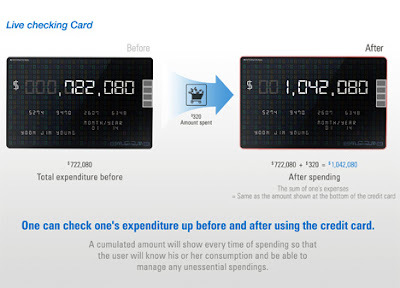 Live Checking Card better called as ‘smarter credit card‘ is much more than just a dumb piece of plastic that includes many smart features. 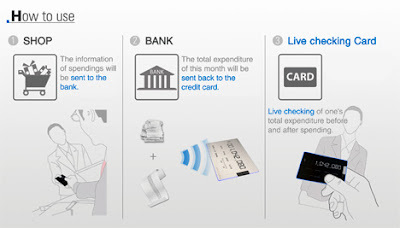 The Live Checking Card won’t let you overspend and go beyond your limits as a cumulative amount shows up on the screen every time you swipe the card. Also with the Edge Light Identify feature you can easily know whether your expenditure is within the limits of your balance or not. This wonderful device is powered by solar energy and has a E-ink display that allows you to check your payment history. It also helps you to tracks your bank account transactions through Radio-frequency Identification (RFID).